Another month is over and it's time to see what I've been loving this month! 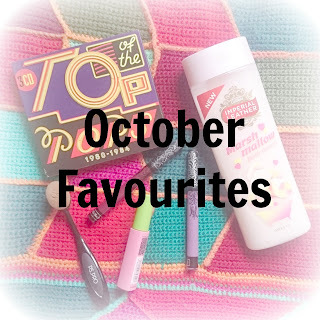 October is more noticeably an autumn month so I've been changing up my usual summer products and getting more cosy in the cooler month! Carry on reading to see what I've been enjoying! 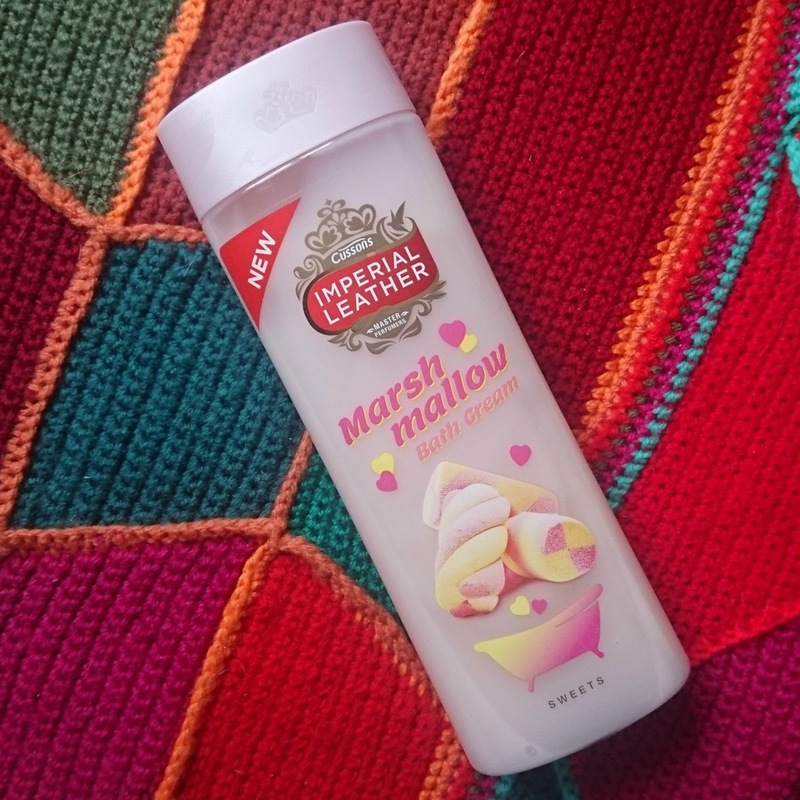 The first thing I've been loving is the Imperial Leather Marshmallow Bath Crème. This is one of Imperial Leather's sweet inspired creams and I cannot tell you how much I love this scent! Our shower broke last month so I've been taking baths instead and I've been loving it every time because of this product. 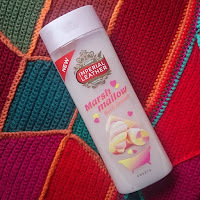 It's such a comforting smell, it smells like sweet vanilla and, well, marshmallows obviously! This product foams up so well and the scent actually fills the entity of the upstairs of my house! I have to be careful with a lot of bath and skin products as my skin gets incredibly dry at this time of year, but I've had no problem with this product and the scent stays on your skin long after! It's really affordable too so I definitely recommend this product if you're looking for a cheap pamper session! 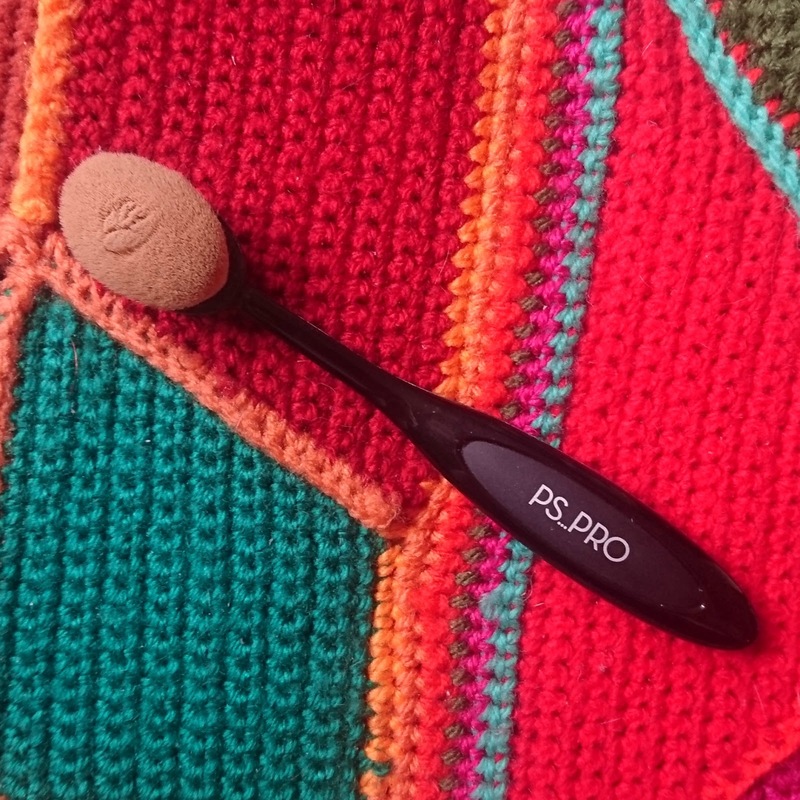 Next up is the Primark Oval Face Brush. 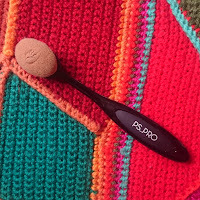 This face brush design has been showering all over the internet and I finally managed to get my hand on one! I saw lots of people talking about the Primark version and really wanted one but the Primark closest to me seemed to be one of the last to get one! I finally got one and they are only £3! I really really enjoy this method of applying my foundation, it's so smooth and gives a great finish! I should have a full review on it coming soon! I like my lashes to look well defined, but I HATE the look of clumpy thick lashes, so I struggle finding a mascara that I like, or want to try. This month though I took the plunge and bought Maybelline's Great Lash Mascara and for what it is, I think it's great! This was a really affordable mascara and it works really well for my lashes. It lengthens them, adds definition and adds the right amount of volume. 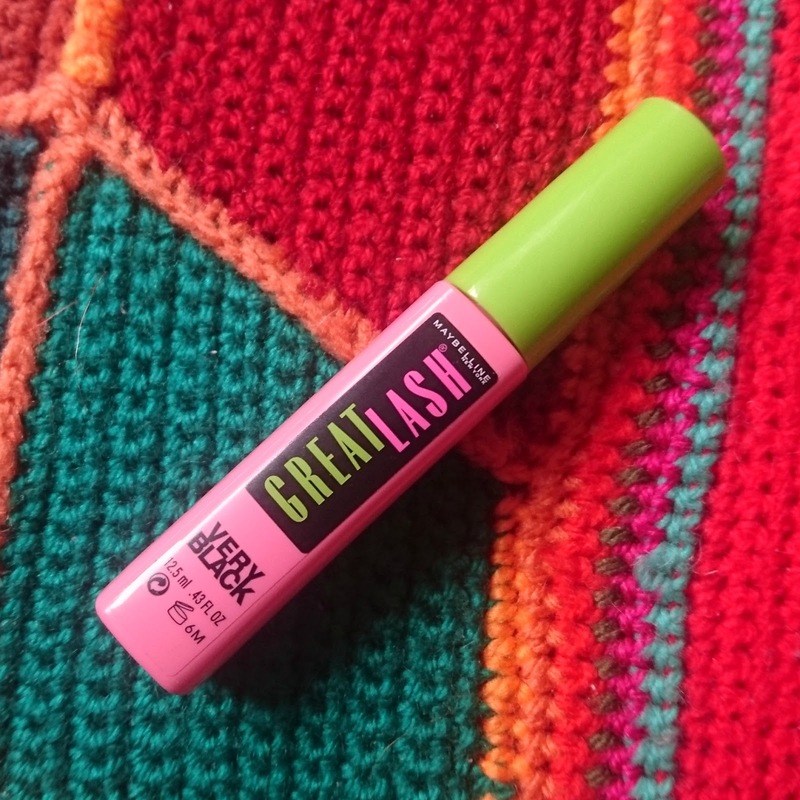 I'd become pretty lax with the mascara I used and just used whatever I had, which, after using this one, I really regret, as this really made a difference and was a lot better than other ones I'd tried! 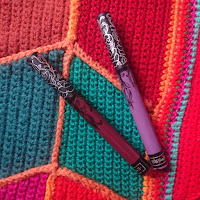 The brush is a good size and the consistency of the mascara itself is really good. It lasts all day and can be layered for a fuller look! I think I would repurchase this but I might try out some others first! 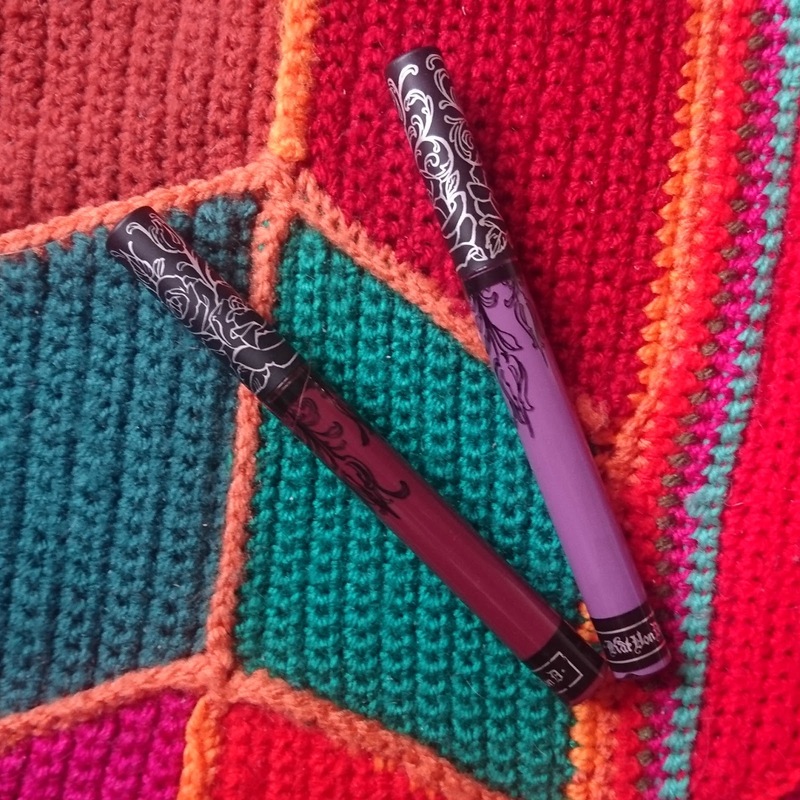 If you follow my blog then you may have seen my review on the Kat Von D Everlasting Liquid Lipsticks (click here if you haven't seen it!). This month I have been wearing these almost non-stop! They are such good quality and I can't wait to get some more of the colours! 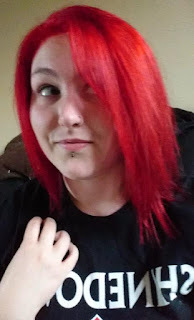 They apply brilliantly and the colour selection is great! These are the first higher-end lipsticks I've bought and I'm really glad that I have. And for my non- beauty favourite... as you may have guessed from some of my other favourites, I love music! 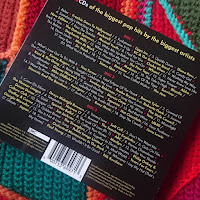 I love rock and metal music, but one of my guilty pleasures is... 80's music! 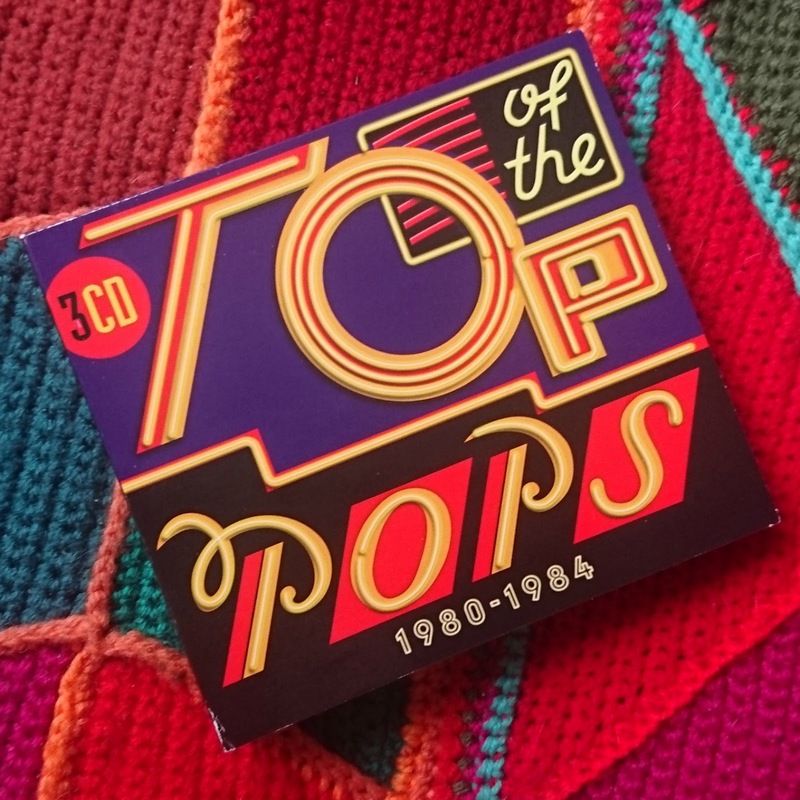 At the start of this month I bought a Top of the Pops 80-84 CD and it's been in my ar most of the month! I LOVE singing along to it and I wouldn't be surprised if someone saw me dancing and bawling while on my way to work! What have you been loving this month? 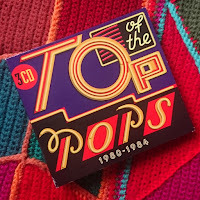 Let me know and if you have a favourites post then link it below so I can have a look! How to make: Yummy Scrummy Flapjacks!